I attempted to claim the Team Glow Dropshot from last night’s stream. Each attempt it spun and spun then presented the claim button again. I had hoped it would be in my customization page on Gears 4 but it is not. I got the same problem with glowing drop- cannot take by clicking “claim”. Firstly thought that was firefox fail, but seems not. Could you help TC? Glowing skins is second beatiful set. Timers never started for me for the Workshop Longshot during the March 14 Dev stream. Was able to claim the Carmine skins when they went live, but despite reloading the page a few times, the timers didn’t work. Hello Yesterday the After Glow Dropshot and last week Friday the Other Weapon could not unlock enabled but could not confirm how do I get the skins now? Missing the team glow dropshot. Can you please give it to me TC. Thank you and I love your game, can’t wait for gears 5 . Hello, I claimed the overkill team glow skin from today’s stream, but it isn’t showing in my inventory, could you please help? Will be going through the support lost now! As a quick reminder, this thread is only for Stream related skins. I can not assist with any in-game unlocks. 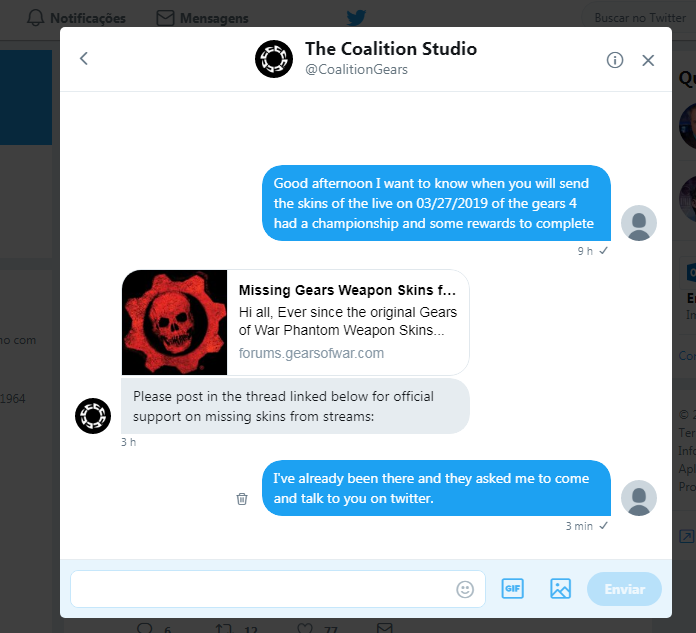 Best would be to contact @CoalitionGears for this on Twitter. Also I am not too sure out of your request which weapon skin(s) you exactly miss. Okay, thank you. I’ll send them a hotmail. @ My Dome Now needs to contact @CoalitionGears as he is facing issues with the Gilded Raam challenge. Will look into your issue ASAP.